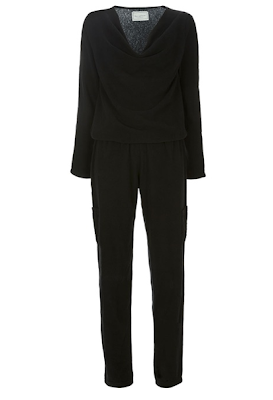 Now days, loungewear isn't just the province of university students and people who have generally given up. With Net-a-Porter selling sweat pants (and styling them with heels) and the rise of the specialise in the £100 sweatshirt, lounging can be glamorous. I've compiled a list of gift ideas for the loungenista. These masks are the best eye masks I've ever used. They are huge, so they do truly block out the light. And they are filled with lavender so they comfort and sooth as you drift off to dream land. Word of warning - if you have white bedding, don't get any of the bright colours. These are not colour fast. Made to order, these lounge pants will fit you like a glove.They come in a choice of five colours, though I think I like this charcoal colour the best. You can wear them with heels a la Net-a-Porter, but I'll be wearing mine with slippers or cashmere socks. There's something about the buttons up the side of this sweater that make it seem like it would be extra comfy without losing style points. 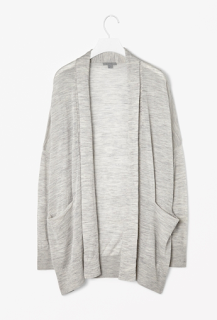 Or if cardigans are your recipient's thing, this one is perfection. It's so good, Cos brings it out year after year. It's oversized to amp up the snuggle factor, and yet it manages to be chic at the same time. No matter what I'm wearing, I'll throw this on to answer the door and feel like a presentable human again. Who said onsies can't be chic? 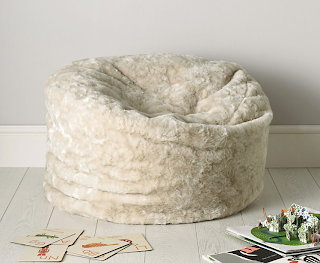 If the recipient of your gift has a fireplace, they need to have this beanbag to curl up on in front of it. Magazine, glass of wine, cashmere throw, and that's the winter taken care of. Everybody sells wraps, and you can get them in pretty much any colour you like. This one jumped out at me because of the cream and gold combination. It's a mixture of silk, wool and cashmere and promises to be very soft. Did I mention the £100 sweatshirt? I meant £200. 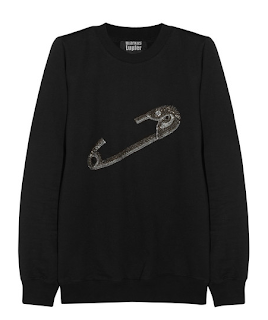 But with the chain embellished safety pin on this, I'm still tempted. 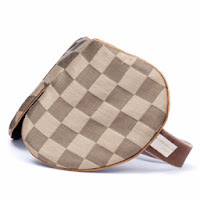 Your gift recipient would be the most fashionable couch potato ever. 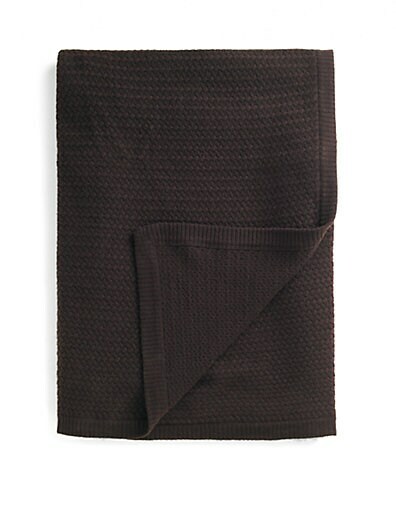 The tiny braided texture of this blanket sets it apart from other cashmere throws. Sophisticated, soft, perfect for long dark evenings. Smoking The downside to the smoking slipper trend is that you can pretty much only wear velvet or suede indoors in Scotland - textile and suede shoes don't do well in the rain. I have a pair of silk Charles Phillip Shanghai slippers that have barely seen the light of day. That being said, if I had the cash, I would not be able to resist these suede slippers from Alexander McQueen. No one is doing the smoking slipper trend with more intricacy and breath taking beauty than Aelxander McQueen. These are gorgeous.